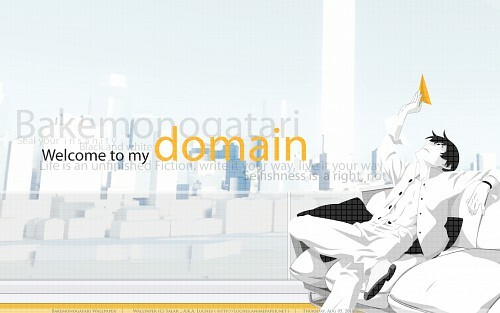 Bakemonogatari is unique and the atmosphere and material was suitable for the concept I had ! We all have a sort of Personal Domain. Be it our desirable world , The corner of our imagination or the corner of your room.The point is that's where you feel comfortable the most. Only wide resolution is available as Cropping this without ruining something was no good ! You really like grey huh? Though it's not said in a bad way, I personally love grey so nothing bad against you. nice vector over there! cool job! welcome to my domain! this phrase is good to describe I'm back again to my PC. once I put it as my wallpaper. =D good job! beautiful! 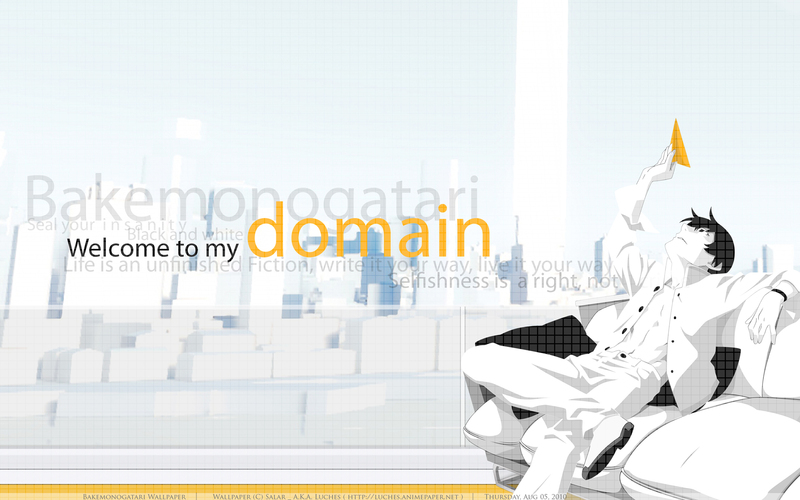 i love how you matched yellow with white and grays/black. also the composition is something i love: image on the side and typography in the center. great work, FAV!